There have been a ton of memes and jokes going around after that controversial shooting of a Gorilla who dragged a 4 year-old boy who fell in his pit and some of them aren’t so funny. While many have gone viral, there are quite a few that have stirred the pot online and off and sparked discussions about racial undertones and how far is ‘too far’. When it comes to comparing people of color to animals, I would think most would consider that ‘too far,’ however some people (i.e. Ex-RHOA Claudia Jordan, who compared an ex-boyfriend to monkey during a stand up routine) aren’t quite as considerate when they THINK they are being funny. 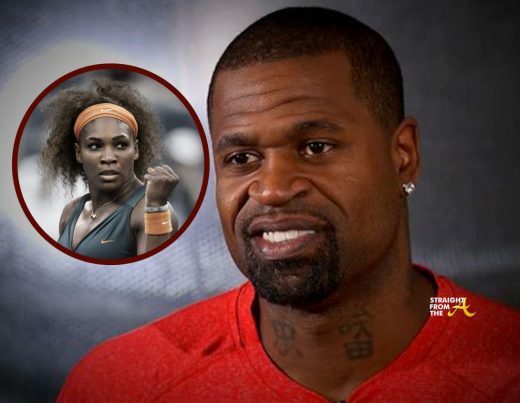 That being said, former NBA player Stephen Jackson spoke up after a man at his gym thought it was ‘funny’ to liken Serena Williams to the gorilla who got shot at the Cincinnati zoo.